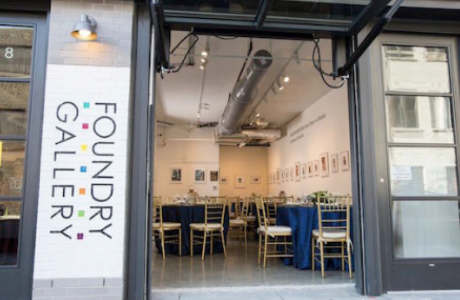 For more than 40 years, Foundry Gallery has supported and showcased some of the Washington, DC region’s most promising and accomplished artists. 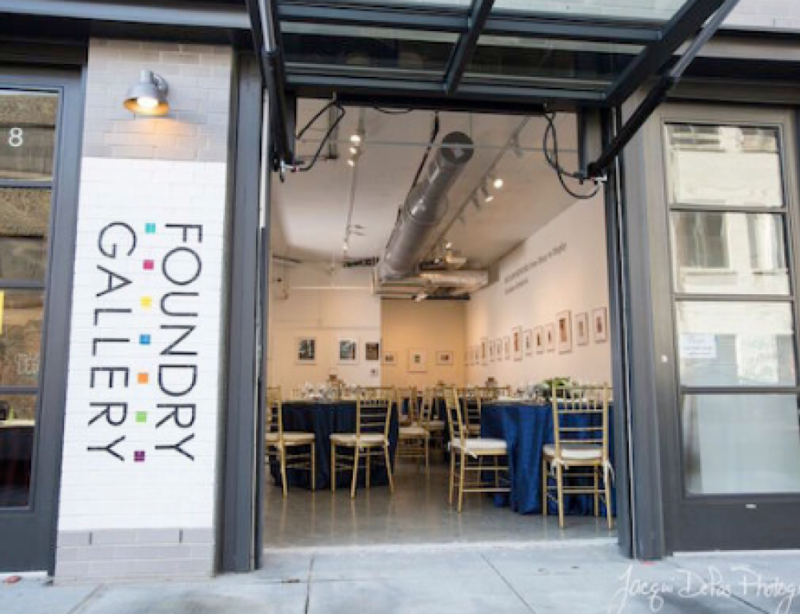 As a nonprofit, artist-owned cooperative gallery, Foundry offers a rich diversity of original works of art at more affordable prices than commercial galleries. 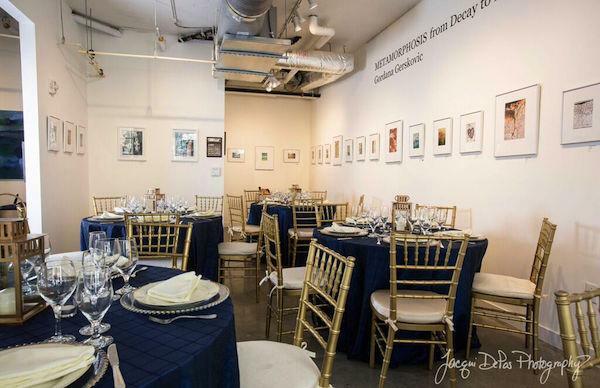 Foundry welcomes Main Event Caterers or your personal choice of catering companies. 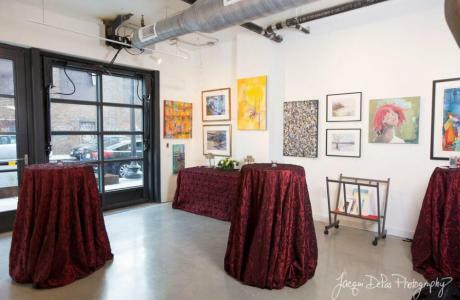 Our food prep area includes a refrigerator, sink, and food prep table. 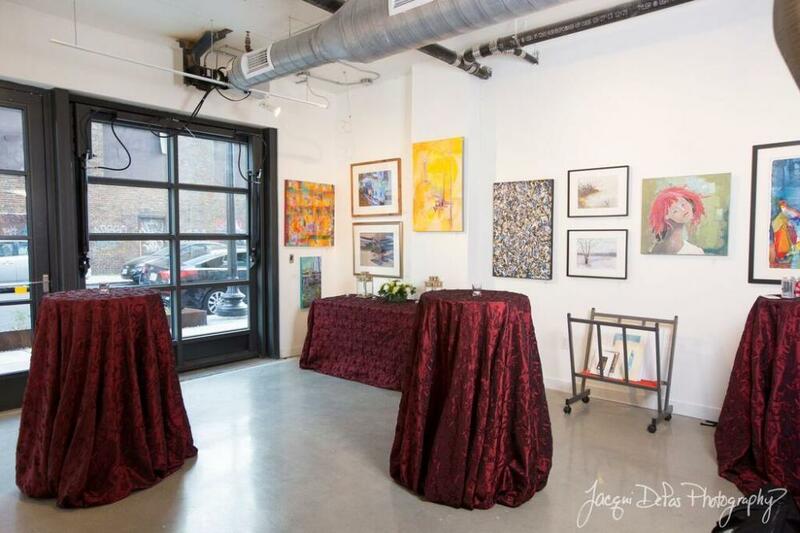 Caterers are welcome to bring other equipment. We suggest a visit prior to making final arrangements. Your caterer will need to bring tables, chairs and other equipment as needed for your event.